Ability Centre is a registered provider of NDIS and WA NDIS My Way, offering a range of services and support for people with disability and their families. 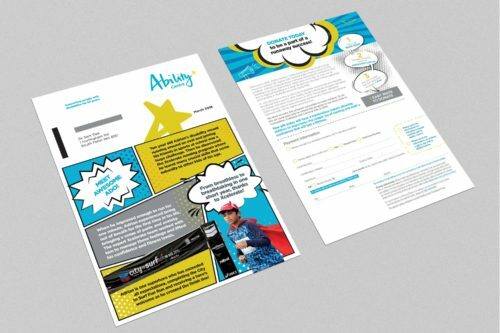 Ability Centre approached Indepth with the goal of promoting their Xcelerate Programme in an engaging and fun way, through a simple mail-out . 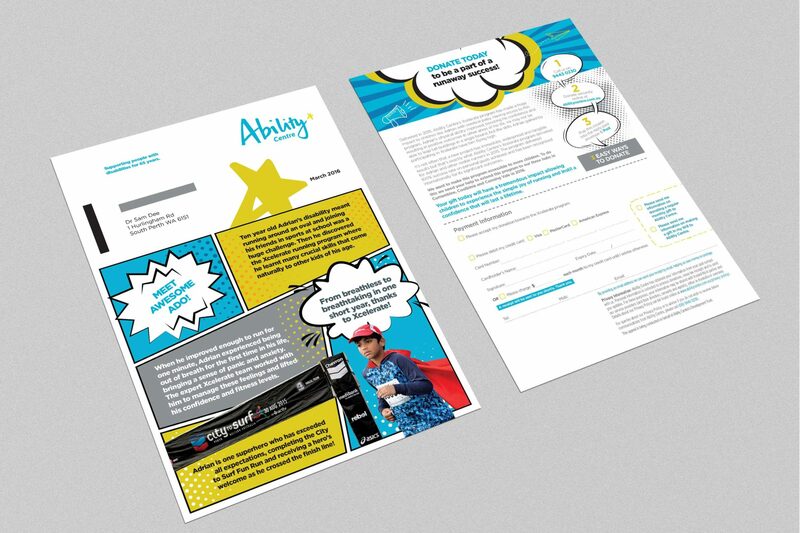 The Xcelerate Program is designed to improve the physical abilities of children with disabilities. 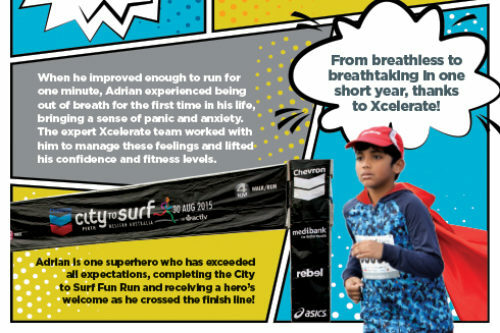 Indepth came up with the concept of the “superhero kid”. This was represented through a comic book style, with a storyline about a child called Adrian who was a success story from the Xcelerate Programme. 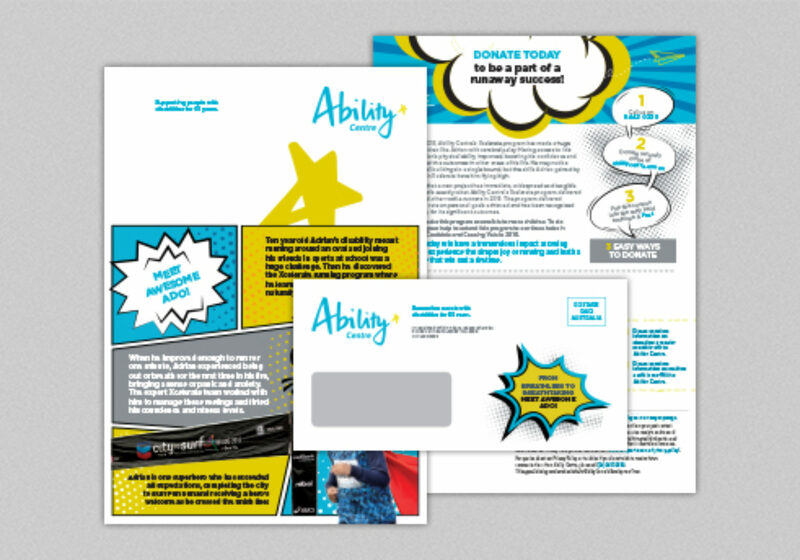 Ability Centre was thrilled with the final outcome and since running the mail-out the donations have increased significantly.